I am pleased to report on some of the main activities undertaken by the Dante Alighieri Society over the past year. As reported at last year’s general meeting, the society has been experiencing an ongoing tight revenue situation following the Italian Government’s ending its financial support of our Italian language teaching activities some three years ago. As a result, much of the committee’s focus in the past 12 months has been concentrated on the continued implementation of a cost-containment strategy to restore a healthy balance between costs and lower revenues. The Committee has always been reluctant to increase fees for the services provided to our members. As a non-profit society we see our mission as providing members with the best quality services at the lowest possible prices. We reluctantly introduced a nominal fee for our conversation classes and we are most grateful for the supporting response from those who regularly attend our Thursday night conversation groups. Although we became aware in early 2014 that our language class fees had not kept pace with increasing costs, as a gesture of goodwill towards our students, we decided to delay the necessary fee increase until the beginning of classes in 2015. Our prices had not changed for several years, and the increases we have introduced do no more than maintain our offering as the lowest price, best quality service in the Canberra market. Our finances continue to be tight, however, and we may well need to make some further modest adjustments to all our fees in the year ahead to ensure that the Society remains healthy and viable. Looking forward, we anticipate the tight revenue situation will continue in the year ahead. Demand for our courses seems to be depressed and our first term enrolments in 2015 are the lowest we have had for the past several years. As the general economic situation in Canberra is not promising, we do not expect dramatic improvement in demand for our classes in the two forthcoming terms this year. As part of our response to the current situation, we are looking at ways of improving the range of services we provide to members. Starting from term two, we will be offering private lessons to individuals or small groups (of 4 or fewer students) targeted mainly to those seeking to deepen their learning of Italian. Since the beginning of 2013, most of our language classes have been held at the Italo-Australian Club. In addition to the shared cultural affinity between the Club and our Society, the arrangement was financially mutually beneficial. As the Club is about to embark on a major restructure of its facilities we need to once again relocate our classes starting from second term this year. With this in mind, we have been negotiating access to suitable classrooms at the Yarralumla English-Italian bilingual school. The school is very keen to pursue a mutually supportive agreement with our Society and we anticipate we will be able to conclude the negotiations shortly. Initially, the arrangement will apply only to language classes. The indisputable synergy between the Society’s membership and the School’s community is a major factor driving the development of a closer and more integrated relationship between the two organisations. As our understanding of each other grows in the months ahead, we will look at other ways of strengthening the relationship for mutual benefit. The cultural program offers an attractive and appealing range of cultural and social experiences to participating members. The many group attendances at the Italian Film Festival organised by the Society as part of a cross-promotional accord were a particular highlight of the variety of experiences that members have been able to enjoy. We are also exploring ways of expanding the variety of Italian cultural experiences accessible to members including the possibility of live teleconferences with Italian personalities. We recently (6 March) successfully tested this arrangement with a ‘live’ presentation by the acclaimed author and journalist, Pino Aprile, on the impact of Italian unification on the South of Italy. 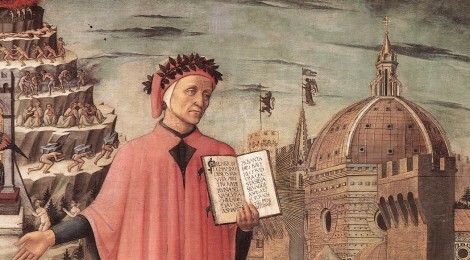 Our cultural/social program for 2015 will be marked by special celebrations for the 750th anniversary of the birth of Dante Alighieri. To complement and expand our communications with members and the wider community we will soon be launching an i-newsletter. The new electronic-only publication will contain a mix of brief Italian and English articles highlighting issues and events of interest to the Italian community and friends of Italy in the wider Canberra region. Produced and edited by the Dante Office it will include contributions from other organisations and from readers. It will be freely available to members and non-members alike who opt to receive it by email. The Dante Review will not be affected and will continue to be published regularly as per its current schedule. Our Choir continues to go from strength to strength and has now established itself as a favourite performance group in Canberra and the broader region. Following the success of its first CD of Italian music, a second CD has been recorded recently and will be available for sale shortly. Please show your appreciation to the choir by purchasing the CD and promoting it among your friends and contacts generally. I take this opportunity officially to record our gratitude to the organisers, musicians and members of the Choir and thank them for being wonderful ambassadors for the Society and Italian culture generally. The Society is well served by the dedicated group of people that serve on the Committee. Each and every one of them makes a substantial contribution to the management of the Society’s affairs. In particular, I thank our two vice presidents Yvette Devlin and Tamsing Hong and our Treasurer Mario Rosi for their efforts and dedication to the Society. I also thank the other members of the Committee, Francesca Foppoli, who is taking on increased responsibilities in the management of teachers and classes, Alessia La Cavera, Bruno Santagostino Baldi, Luigi Catizone, Nicola Patini, Orlando di Iulio (often ably assisted by Catharina Koopman) and Davide Lucchetti who held the position of Secretary for some months at the beginning of the past year. I would also like to acknowledge the support of our language class teachers and particularly of our volunteer conversation group leaders and of our office staff. Last, but not least, I thank all the members of the Society for their continued support of the Society’s efforts in Canberra.